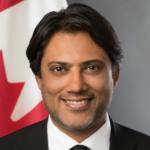 Rana Sarkar was appointed as Consul General of Canada in San Francisco | Silicon Valley in 2017, with accreditation for Northern California and Hawaii. He previously served as National Director for High Growth Markets & India at KPMG Canada, and co-chairman of the advisory board and a senior fellow at the Munk School of Global Affairs at the University of Toronto. From 2009 - 2013, he was President and CEO of the Canada-India Business Council. In 2005, Mr. Sarkar co-founded Content Partners, a global content agency (sold in 2009), and, in 2001, the advisory firm Rawlings Atlantic Ltd. He began his career as a consultant at Roland Berger Strategy Consultants in London and Munich and helped establish Roland Berger in India. He also served as a visiting lecturer at the London School of Economics and the CASS Business School at the University of London. The Consulate General of Canada in San Francisco | Silicon Valley supports the bilateral U.S.-Canada partnership in Northern California and Hawaii through business development and investment promotion, consular assistance, and policy and advocacy. The Consulate’s team of Trade Commissioners in San Francisco and Palo Alto help Canadian businesses establish a presence in the Bay Area, tackle market access issues, pursue joint ventures or strategic alliances, participate in global value chains, and seek technology and R&D partnerships. 1- Silicon Valley values Canada as a country doing well in terms of diversity and openness. 2- Canada does not have the biggest companies, but it is often the smaller scale specialized companies which provide cleantech solutions that meet crisis needs. 3- Silicon Valley holds four main opportunities for Canada- 1) it is a global hub of investment and innovation; 2) it enables us to attract not just large established companies, but also smaller scale ones; 3) it provides great and highly mobile talent for Canadian companies and 4) it sees potential in Canada’s institutional richness. To help our companies scale up, we need to first set up policy incentives for them to grow instead of sell. At the same time, Canada needs to attract and retain top managerial talent to help grow a hundred million dollar company into a billion dollar company. How would you define Canada’s present position in the global economy? The world has certainly changed with the recent US election and the Brexit vote. In turn, the context of global community, politics and trade has changed significantly. This has made Canada think harder about its strengths and weaknesses. Simultaneously, there has been a set of revolutions unfolding over the better part of a generation that are now coming to a head. The first is technological change in the form of greater computing and distributed power. The second is a significant global demographic change. The third is the broader force of globalization. Canada has, in the midst of all these revolutions, been going through its own transformation from an economy of resources to an economy of resourcefulness. That it is not to say that the resources economy was not resourceful. There has been a tremendous amount of entrepreneurship in sectors like mining, oil and gas, and agriculture. So a lot of so-called ‘unsexy’ sectors have been quietly changing for the better part of a generation. The compounded effect of all of these revolutions is Canada’s increased focus on identifying its greatest strengths, which include our cities. Canada’s investments in its cities have created two types of advantages. The first is a structural advantage. This is investing over many decades in everything from our social safety net to education to healthcare. The second is our positional advantage. Canada is an open society; we have dealt very differently with the political elections that other societies have faced. We have a government that is very aligned to these inclusive ideas and is very appealing at a global level. Although Canada is, like everyone else, managing through these unfolding revolutions, we are also trying to take advantage of our strategic strengths. Here in Silicon Valley, I hear two things about Canada’s global position. The first is about our Prime Minister and the brand of openness that he has communicated. The Prime Minister is signalling a newness and freshness of approach, which extends well beyond traditional immigration. In today’s climate, you need a product that communicates very quickly and effectively across multiple channels. Our Prime Minister is able to cut through the challenges of communicating the Canadian brand in a complex media environment. The second is that this clear branding allows Canada to draw attention to the policy and long-term evolution that is taking place within its borders. People are surprised and pleased that Canada is developing cities of scale and mass attraction like Toronto, Montreal, Vancouver and Calgary. You are starting to see a broader appreciation for those cities and their unique attributes. Silicon Valley has always valued openness in the creative process. The idea that Canada is doing something right in terms of diversity, which Silicon Valley has been struggling with, while also adopting openness as a key competitive strategy is very important to the nation’s future success. What are the main risks and rewards for Canada coming out of the NAFTA renegotiations? The renewal of NAFTA has long been anticipated. The last US campaign demonstrated that we needed to go back and reacquire the license for NAFTA. Canada’s position acknowledged that we have shared ground with some of our negotiating partners in regards to gender, aboriginal and labour rights issues. There has been a lot of progress, but this will come down to political will. Certainly, no one benefits from ripping up the agreement. Our concern is if there were no NAFTA it would be detrimental to all of our economies. In Sacramento, for example, there is a cooperative collective of 3,500 almond growers that sustains thousands of families. These are thousands of jobs that are at stake. These are people that depend on trade with places like Canada and Mexico. We cannot forget these trade agreements affect people in tangible ways. I would caution against abrogation and advise Canada to stick to the negotiating principles and the process at hand. I also do not believe that the NAFTA renegotiations threaten Canada’s dedication to clean growth and climate change. The commitment that our Prime Minister and Minister of Environment Catherine McKenna have demonstrated to meeting our Paris climate targets proves that economic growth and a better environment are not at odds. In fact, in the 21st century, they are very much-aligned objectives. That revelation is at the core of the political and economic strategy of the current Canadian Government. It was not just smart politics to sign onto Paris and be one of the agreement’s key architects, but it also aligns strong economics with national and global interests. Rarely do you get those moments in the messiness of geopolitics. There is a broad recognition that carbon and carbon economics are not going to end tomorrow, rather there is a transition to a new energy mix and a new way of living. When we talk about the resourcefulness of Canada, it is not just in terms of hydrocarbons, but the entire energy ecosystem. How is Canada positioned to tap into the trillion-dollar global clean tech market? We have $1.8 billion in new financing to support Canadian clean tech firms. There is also additional project finance from the Business Development Bank of Canada (BDC) and Sustainable Development Technology Canada (SDTC). Each of the provinces and, most importantly the cities themselves, has clean tech on the agenda. We are looking at ways to incentivize the transition between the old energy economy and the new energy economy. We are also trying to highlight some of the successes that Canadian companies have had in the sector via focused delegations demonstrating Canadian technology to global partners, particularly in sectors that are not typically thought of as clean tech. For example, there is the new agriculture sector and the use of less water for growing food. It is amazing how often smaller scale Canadian companies are providing clean tech solutions that meet crisis needs. Canada does not often have the biggest companies, but we do have specialized companies with enormous opportunities. Some say there is a lot of start-up funding for Canadian companies, but a lack of support when organizations need to scale up. How is the government dealing with this problem? Absolutely. It is the valley of death question. I think Terry Matthews said Canada is home to very few companies between $100 million and $1 billion compared to other nations. There are structural reasons for that. Canadian companies were typically seen as adjuncts to the US in North American marketplaces. Roll-up plays were evolving in the United States that were typically funded by private equity or the public market. Canadian companies are going to get absorbed in that environment. In addition, our own institutions were incentivizing selling versus growing. Bank financing went to international players that would inherently buy our companies. There are a number of structural issues within our marketplace that lend themselves towards this valley of death scenario, and that has been an ongoing challenge for the Canadian economy. The good news is that four or five years ago, people had clocked on to this valley of death problem. There has been an attempt to craft a series of policies that incentivize Canadian companies to grow instead of sell. In the government’s Budget 2017, there are a number of provisions including Innovative Solutions Canada launching a new program. The program would use procurement, particularly government procurement, in a similar fashion to the Small Business Innovation Research Program in the US. It would specifically help those companies that were looking at first contracts or looking at growing from a proven concept to a larger entity. The second part of that equation is the talent issue. If you do not have a lot of medium- to high-growth companies, then it is automatic that you do not have a lot of managers that are comfortable in growing from a hundred million dollar company into a billion dollar company. Building that management cadre is also an important part of what we need to do as a country. Part of our activity in Silicon Valley is like this brain chain, this circulatory energy between Canada and California. We are certain to see a lot of experienced executives in the United States going to Canada to help scale up companies. That talent part of the equation is really important. There are a couple of other funds that are worth mentioning in this context. One is our Venture Capital Catalyst Initiative, which provides Canada’s high potential start-ups with an additional set of matching funds. The budget proposes $400 million for the BDC to get into that space. Another is the Strategic Innovation Fund, which was a $1.26 billion fund. Initially the idea was to attract high quality business by making this money available to industries. There are four types of innovation activities targeted by the fund: research and development, commercialization, product scale up, and expansion. That fund was originally developed to help companies who were around the $100 million range and needed to figure out if they were going to invest R&D money into the next big thing that would turn them into a billion-dollar company. That has been a key challenge for a lot of Canadian companies, and the point at which Canadian companies often either lose their edge or end up being part of an acquisition. This is where you have a real opportunity to address that particular challenge. What sort of goals have you set for yourself in Silicon Valley and what opportunities exist here for Canada and its future economy? It is early days and part of it is surveying the real opportunities here in Silicon Valley. One of the opportunities is that the Bay Area is a global center for innovation, investment and growth. Trillions of dollars in market capitalization and more in terms of option value are in and around Silicon Valley. This is a global hub for sensing the new and a large number of the big global capital pools are looking at utilizing North American technology and investment intelligence. A lot the people who are involved in those decisions are based in this area, so we have global business development for Canada right here in the Bay Area. This is an interesting new evolution that we should keep on the radar. The second opportunity is that it is not just about attracting large and established American companies or global companies to invest into Canada, but it is also about attracting smaller scale companies to Canada at their first or second global expansion. This is to both access high quality talent at a more reasonable price than Silicon Valley and to pull global talent into Canada. You are starting to see more of that expansion ecosystem emerge and it is a target we can continue to grow. The third opportunity is talent. Talent is highly mobile, everyone is moving around the world and Canada is an attractive destination due to its openness, great access to recreation and good overall lifestyle. The fourth opportunity is the institutional richness that the world is beginning to recognize in Canada. For example, the collection of publicly funded hospitals in Toronto and Montreal are contributing original research, from brain science to rehabilitation. Research intense institutions are at the core of Canada’s great cities and are increasingly important as anchor components in global ecosystems. We also have a role to better connect these institutions to their US counterparts. For example, we just announced a $125 million AI fund for the Vector Institute led by Geoffrey Hinton out of Toronto and Element AI with Yoshua Bengio from Montreal. Both groups were benefactors of a Canadian Government investment years ago from the Canadian Institute for Advanced Research (CIFAR). These institutions had long-term funding for machine learning and neural networks research long before the Googles and the Facebooks arrived on the scene. Now, these research ecosystems are deeply embedded in both of these cities, so there is a reason why Toronto and Montreal are emerging as global capitals of AI research. This is a result of very far thinking policies that the various governments of the day had produced over the years through institutions like CIFAR. This institutional richness is something we need to cultivate for growth and prosperity in Canada. It is the kind of long term strategy that you cannot measure over the course of two or three years, rather it is something that you would measure over the course of decades.